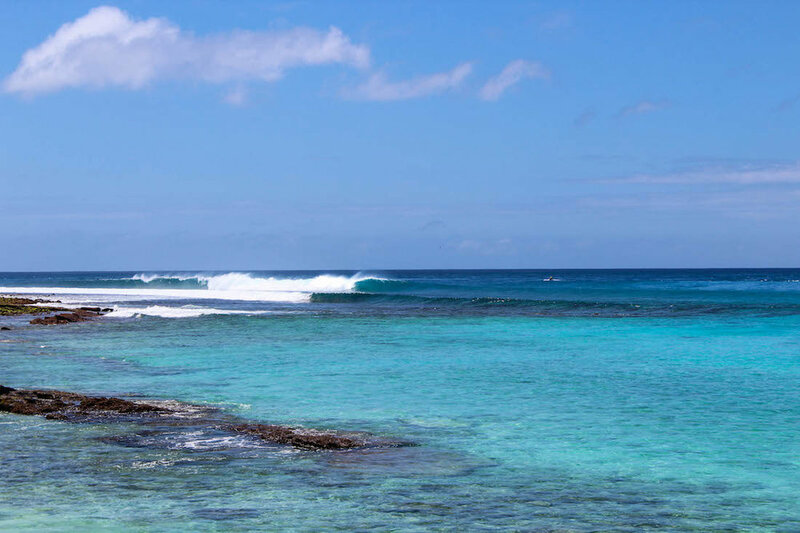 The location of Fanning island Resort in the Central Pacific is truly one of the only remaining untouched gems on this planet, reminiscent of the type of scenes regularly appearing in overworked surfer’s tropical dreams every day. The sun rises over the luscious jungle of coconut trees daily to spread vibrance over the picturesque landscape full of colour and healthy life in and out of the water, while the predominant offshore wind direction fans the playful waves just a stones throw from shore until the golden afternoon light slowly fades to reveal a sky full of stars, void of any light pollution. With the house waves, Fanning Right & Left, just a short stroll from your bed, the issue of long, bumpy vehicle rides are simply non-existent on Fanning Island. 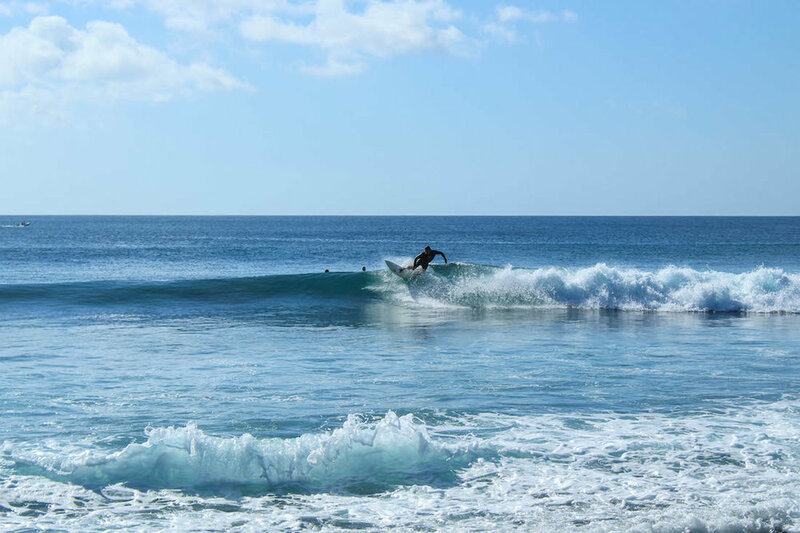 There are six waves that work on all tides within a 20 minute boat trip of the resort so it’s not uncommon to have three surfs in one day. 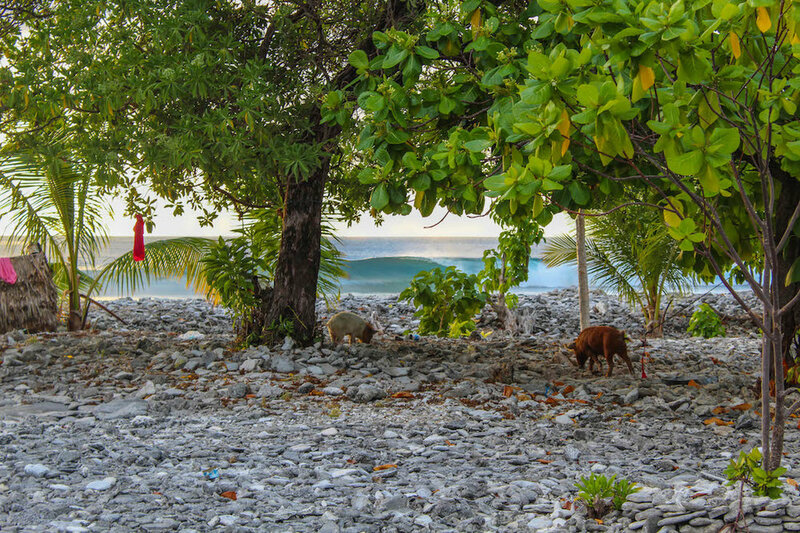 Apart from the surf, the fishing around the island is another reason to visit our slice of paradise. 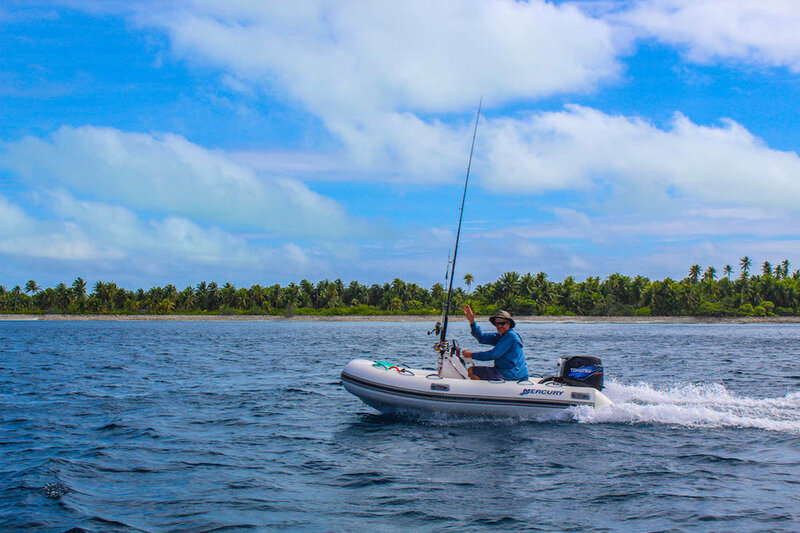 Tuna, Giant Trevally, Dolphin and Wahoo are all in abundance within this untapped fishery along with many unique inshore bone fishing opportunities around the island that fisherman around the world have been chasing for years. 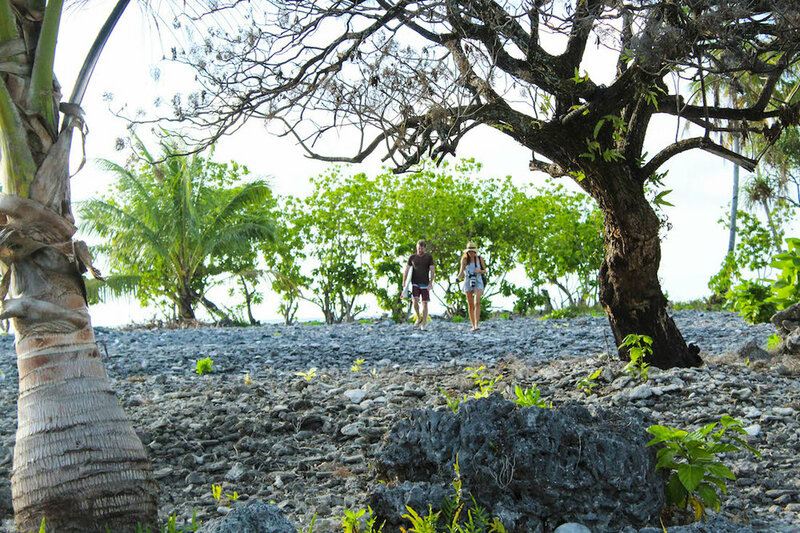 All in all, Fanning Island is an experience you will appreciate for its authenticity, variety and beauty, while doing everything you love to do. Another playful day out the front. Arriving at the break luckily with a camera in hand. 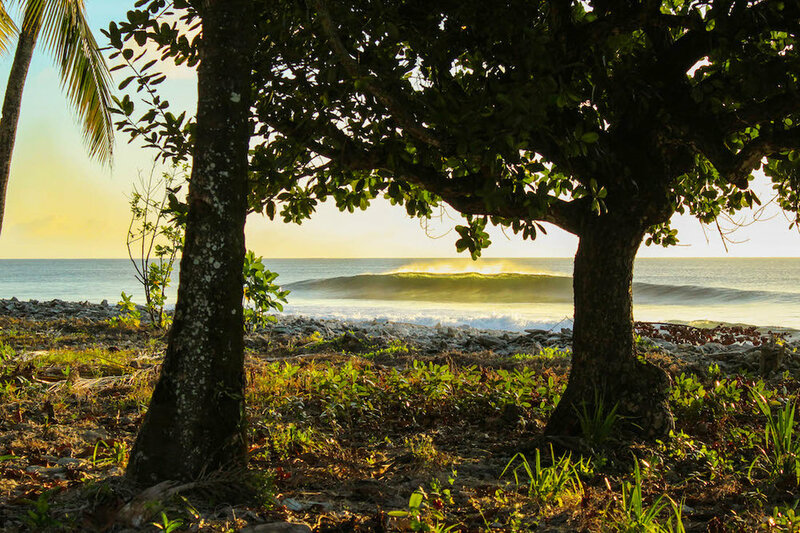 Easy going walls to surf. 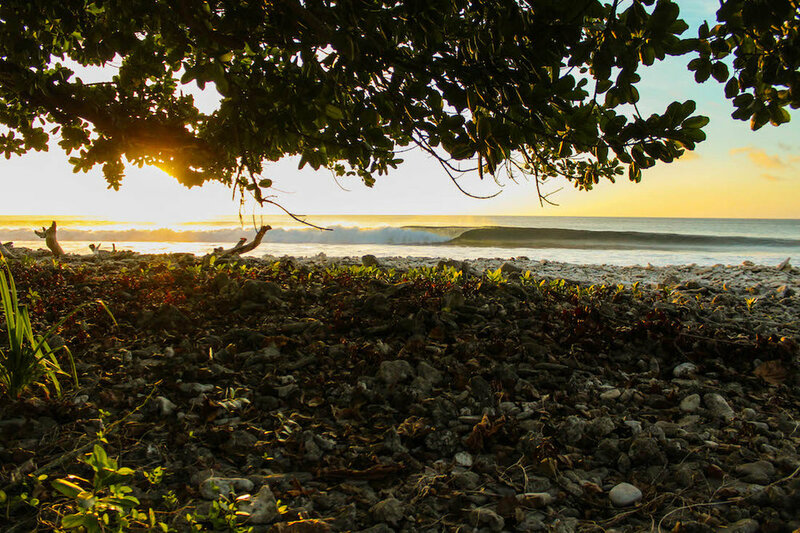 Explore what the island has to offer. Feathered A-frame out the front. Quite the view while you fish. Simply stroll to the welcoming waves. The view from Fanning Island Resort.